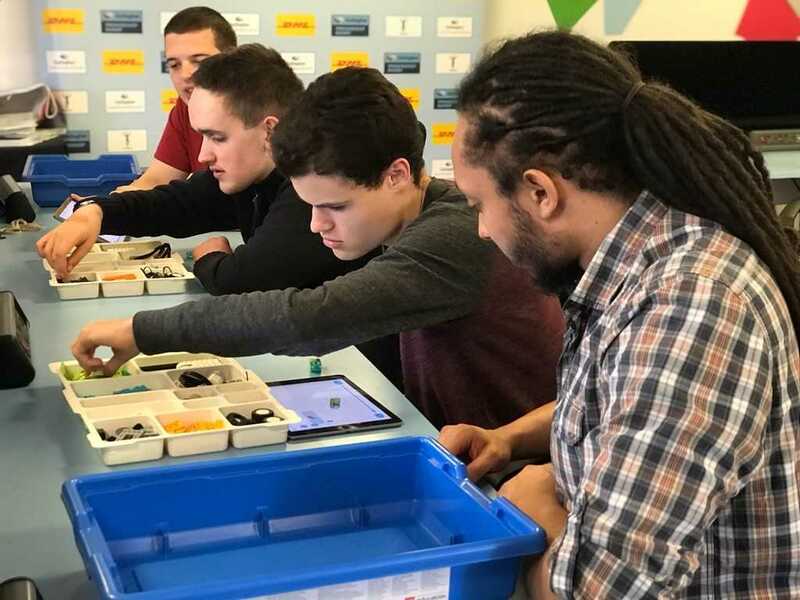 The Digital Hub, which is being piloted over the next twelve weeks, provides students from a range of schools including the Harlequins Foundation’s own HITZ programme, and St Phillip’s School the opportunity to explore core STEM concepts in an engaging and accessible way. 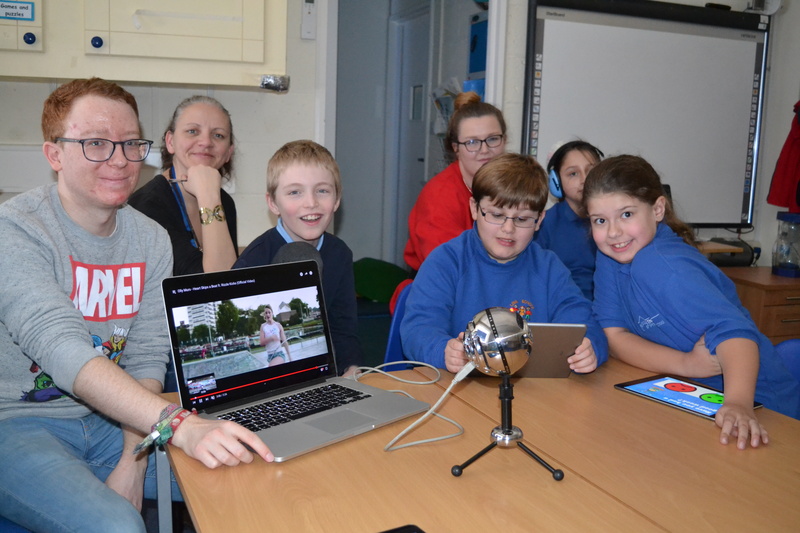 Orchard Hill College & Academy Trust’s Digital School have been running podcasts with Hazel Class over the past few weeks. You can tune in and listen to them interviewing their teacher and playing their favorite songs. They also discuss how to deal with anger issues and check out “Wonder Park” , an up and coming animated movie. Tom from the incredible comic shop “A Place in Space” in Croydon, joined our Digital Ambassadors to take part in a podcast. 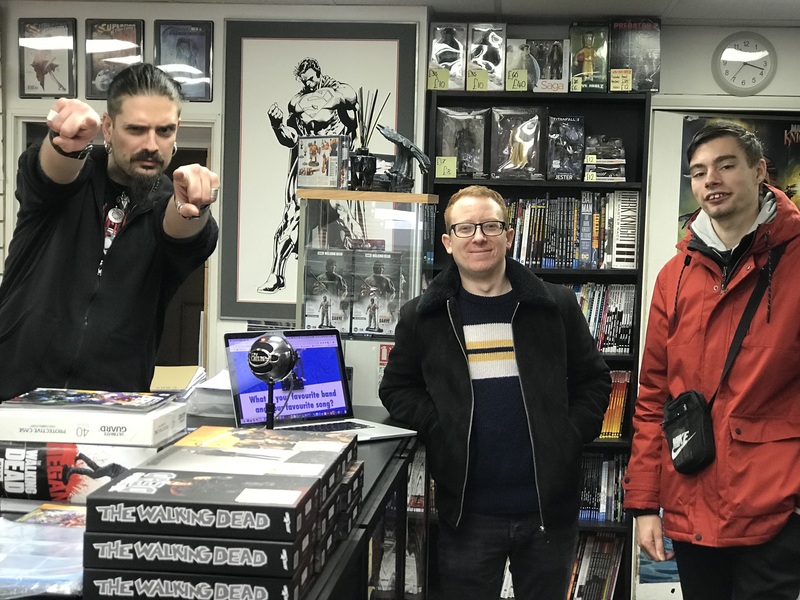 Students interviewed Tom and asked him about working in the industry and also found out other interesting facts like, the most expensive comic book ever sold at the shop, retailed at a whopping £4,000! 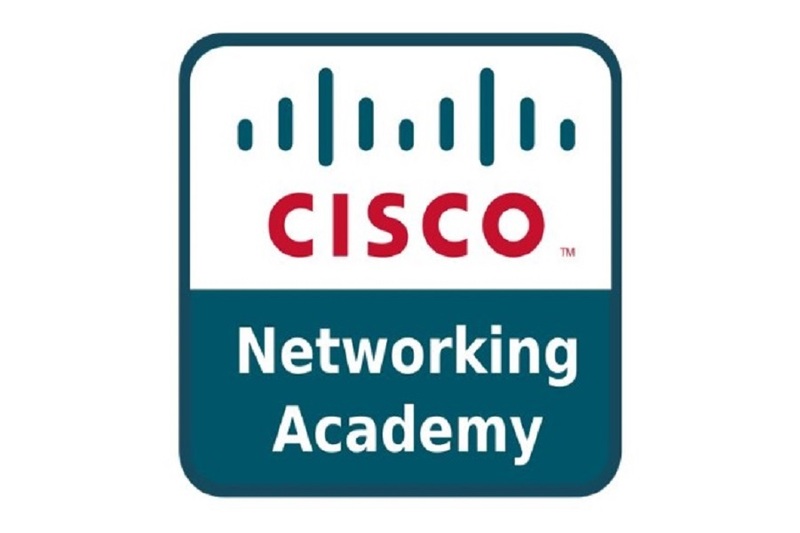 Orchard Hill College (Digital School) have been invited to join the Cisco Networking Academy (CNA). 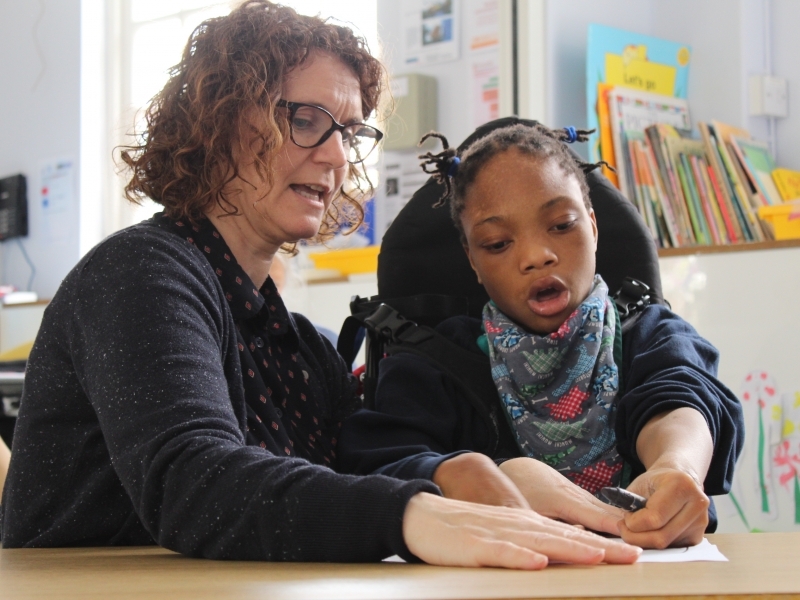 Historically their offering has been targeted at mainstream learners, but they are expanding their provision to encompass students with Special Education Needs and Disabilities (SEND). 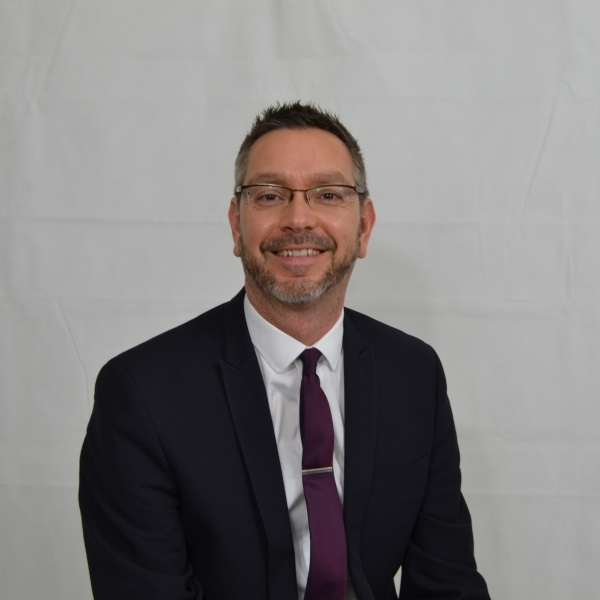 The Digital school lead by Simon Gale will work closely with Andrew Smith from the Open University to develop new resources for students learning at a lower level that can deliver real social impact. We look forward to bringing you more progress updates about this venture. 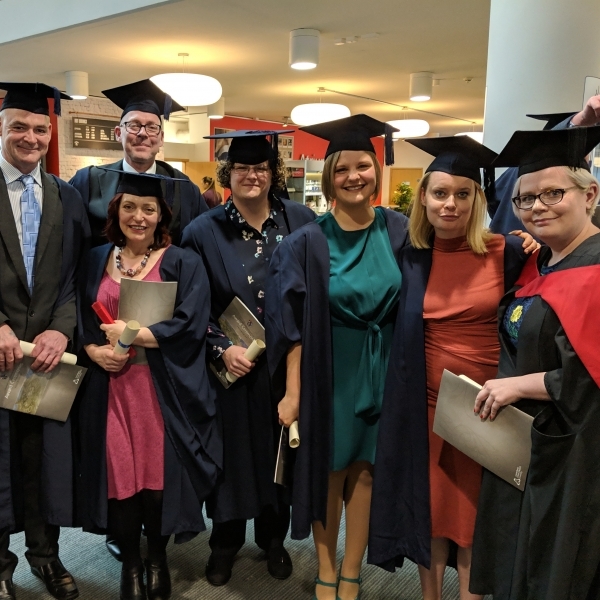 Principal and CEO, Dr Caroline Allen OBE, Simon Gale, Creative Director of OHC&AT’s Digital School and his team joined students from VPC to officially launch the DigiCafe. Students looked smart in their branded uniforms and were ready to serve customers with delicious homemade cakes and beverages. The café is a great environment for them to hone their catering, customer service and front of house skills. 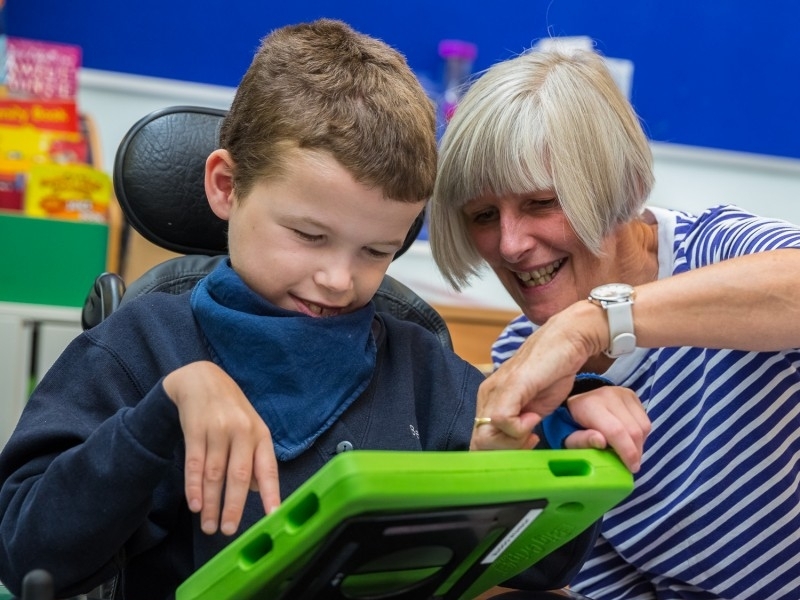 The digital team were on hand to help visitors with various queries regarding their iPads and laptops whilst others were keen to try out the latest apps and games. DigiCafe is a new initiative launching on September 2018 at the Riverside Centre in Carshalton. 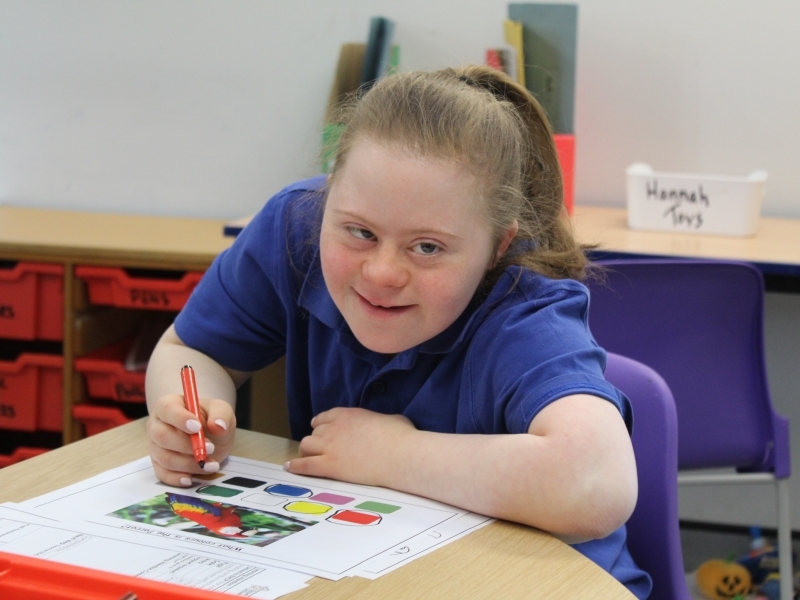 The cafe will be open every Wednesday (during term-time) from 11.30am – 1.30pm to serve the local community. Visitors can pop in for coffee and a slice of homemade cake, or sample one of our savoury mini-bites, all made and served by students. Riverside Centre, 113 Culvers Avenue, Carshalton, SM5 2FJ. During the last academic year, we worked closely with students to produce a series of short films. We guided them through the entire creative process of film making from choosing a film genre and coming up with the “big idea” to filming, editing and adding a soundtrack. The films were premiered in June at a venue in Sutton to a packed audience. We look forward to hosting an even bigger Film Festival next year! MCM Comic Con – Is it a bird…is it a plane…no, it’s the Digital School at Comic Con! The Digital School enjoyed a trip to MCM Comic Con 2018 at London’s Excel. It is a huge event for super fans, some of whom dress up to display their love for their favourite superhero, anime or video characters. (Yes, that really is a tribute to Splatoon 2 you can see in the photo!) Students got to visit the Creator Zone where they met industry vloggers, artists and other fans. They also picked up the latest exclusive news about gaming, TV and films. A highlight was a visit to the Comic Village, home to the largest gathering of comic creators in the UK. 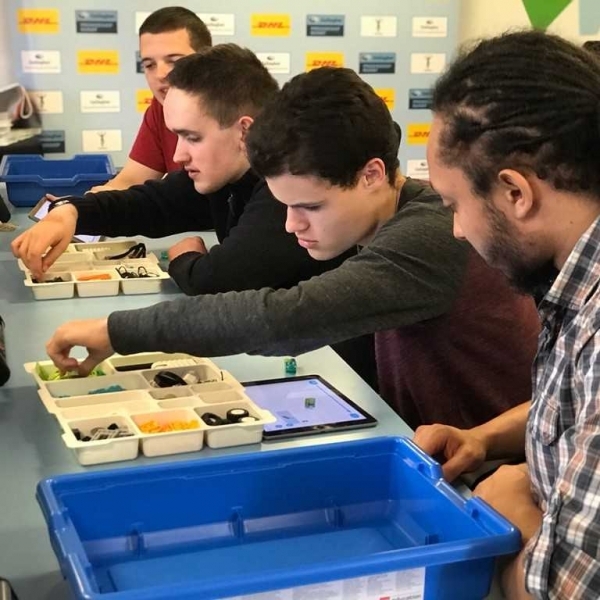 Recode London – Students tackle the cities challenges with Lego and their imaginations! 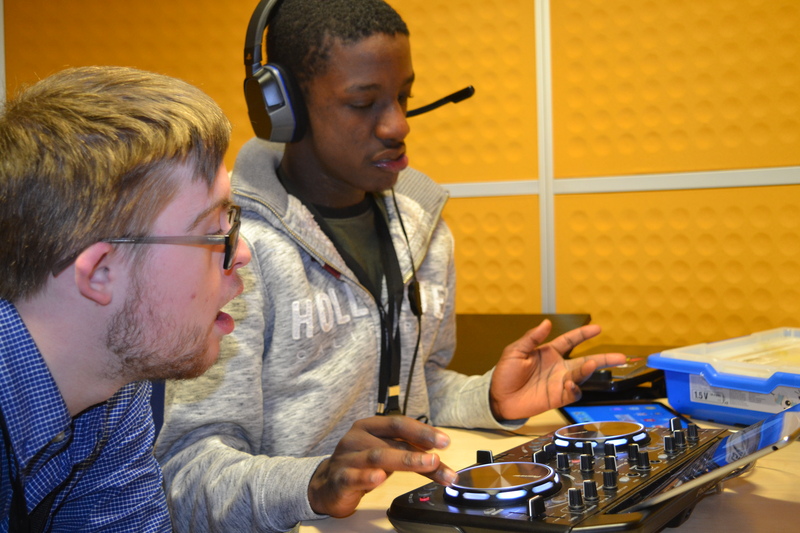 The Digital School Team arranged for pupils and students to take part in Recode London at The Workshop in Lambeth. The initiative is run by the Mayor of London, the LEGO® Group and Institute of Imagination. Students rose to the challenge set by Recode London to build eco-friendly vehicles to tackle the capital’s air pollution. They put their coding and building skills into practice and created a range of vehicles out of Lego and that were activated via ipads. Students then got to parade their pollution busting automobiles along a specially designed street built entirely out of Lego. Special guests from Tech and Education gathered for the “Celebration of Digital Discovery” eagerly anticipating what the students had in store for them, and they weren’t disappointed. 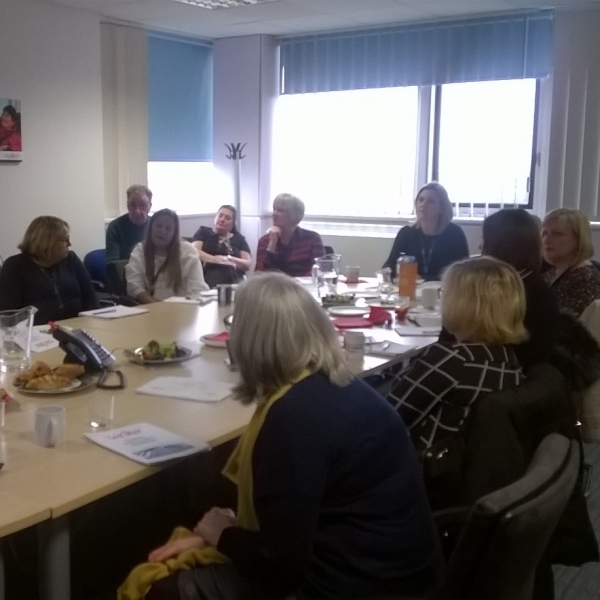 The event revealed some truly innovative digital thinking with products such as Contour (an e-learning portfolio enabling and empowering students to have autonomy over their learning journey and present their work independently through the portfolio). Students also demonstrated a series of augmented reality training cards which bring static items to life making their lessons even more engaging and interactive. Visitors were also treated to a live podcast and a preview of a soon-to-be launched 3D game, “Road Sense”, designed to raise awareness of road safety and to promote travelling independently in a safe way. Students at the Digital School also publish a student e-zine that can be enjoyed by those with visual and hearing impairments and broadcast a weekly live radio podcast. Attendees were encouraged to get interactive and try out the virtual reality headsets that can transport users to Egypt or even experience life on Mars, but more practical for students with SEND, it enables them to become familiar with places and environments before they visit them.